Juke 4.0.2 free download. 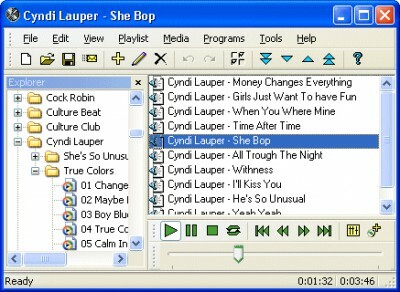 Juke is the one player for all your sound, music, and video files, and also including music CDs. Juke is the one player for all your sound, music, and video files, and also including music CDs. Juke is the one player for all your sound, music, and video files, and also including music CDs. It allows you to create mixed playlists easily by dragging and dropping. Juke plays .wav's, .mid's, .mp2's, .mp3's, .mod's, .avi's, .mpg's, .mov's and many other file formats. Use DirectX plug-ins to turn Juke into a professional music production system with an equalizer, compressor and limiter. SuperEdi is a useful and reliable text editor utility for web site developers and programmers. QBrowser is a web browser for power users. Music NFO Builder will automatically build: nfo, pls, m3u, sfv, md5 from mp3/ape/mpc music files. KaraFun is a karaoke software for PC that offers a complete solution for home karaoke.